The infographic showed that 2016 became the first year when the US lost its dominant global leadership in fintech to Asia. Asian fintech was twice smaller than the US in 2015 but it easily surpassed the US, accounting for 47 per cent of the global volume, This growth is driven by fintech “megadeals” that happened in China. Many large local players — internet and IT giants, traditional banks and insurance companies, funds and financial holdings — realised just in time that there is an enormous potential in the fintech market in China. Find out more in the new issue of Money Of The Future 2016/2017 fintech report. According to a report by Bloomberg, Chinese ride-hailing giant Didi is said to be considering a US$6 billion investment by SoftBank. This funding round would break records as China’s largest tech investment if it goes through. This news comes off the heels of another Bloomberg report, which stated that another titan of ride-sharing, Southeast Asia-based Grab, was raising US$1.5 billion — also from SoftBank. Singapore-based startup Weeloy has raised S$5 million (US$3.6 million) from FirstFloor Capital, a Malaysian VC that focusses on early stage startups. Launched by CEO and founder Soraya Kefs, Weeloy is a technology & marketing solutions company that focusses on the F&B industry. It will use the newly-raised capital to accelerate product development and launch aggressive marketing efforts. Weeloy also aims to expand into new regional markets such as Malaysia and Indonesia. Weeloy is hiring right now! 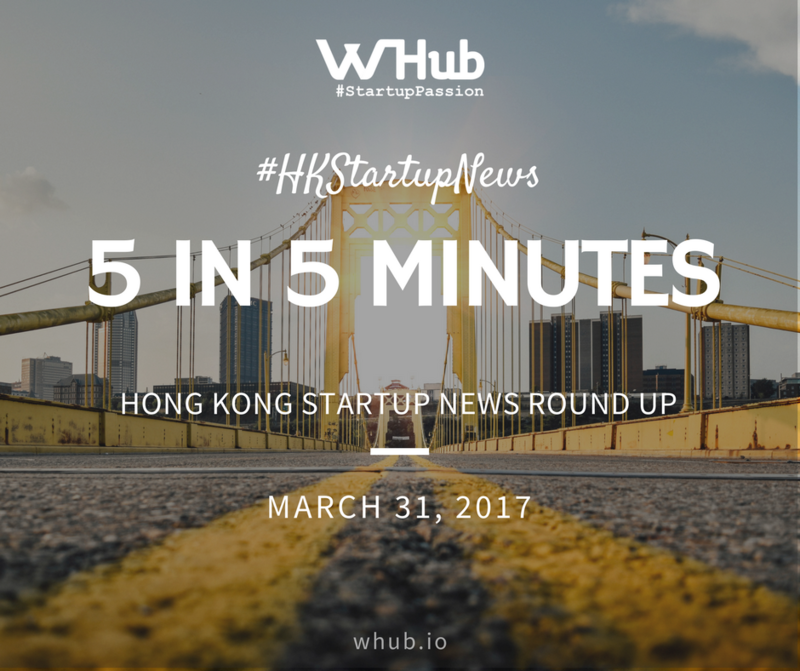 Check out their WHub Startup Profile here! WeWork’s expansion into Asia is in full swing. It seems that branches in Singapore and Tokyo will open soon. The company has expanded in several Asian cities such as Beijing, Shanghai, Hong Kong, Seoul, and Bangalore so far. It is no surprise that WeWork is picking Singapore. Being one of the world’s top business and startup hubs, its office rental rates rank among the highest in the world. That gives WeWork a ready market of fledgling startups and entrepreneurs who want to save on rent or are seeking flexible lease contracts. In Japan, a startup boom is expected after the government vowed to put young tech firms at the center of the country’s economic growth strategy. The News Lens (TNL), an independent Chinese-language news portal out of Taiwan, announced it has closed an undisclosed amount of Series B round of funding. The round was led by WISKEY CAPITAL and included participation from a host of investors. According to the company, traffic for TNL has grown 30 per cent from last year and it employs 70 people (including having an office in Hong Kong). TNL also reached an agreement with Time Inc. The startup will translate and distribute content from the news giant’s TIME and Fortune properties.